Charles Gaines is a 28-year Special Olympics veteran from Jessup, Maryland who competes in athletics, basketball, and volleyball. He’s traveled across the country to compete as part of Team Maryland in both the 2014 and 2018 Special Olympics USA Games, most recently earning a gold medal in the 400M run in Seattle this past July. When he isn’t training and competing, Charles enjoys attending church, singing in his choir, and working on his computer. He also works as a Courtesy Clerk at Safeway, a job he’s held for 17 years. 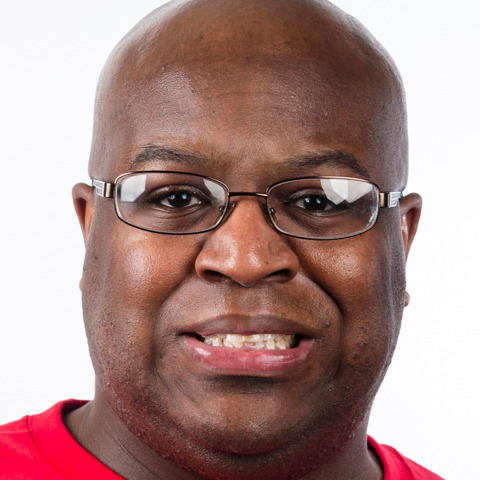 Charles prides himself on being kind to others and loves meeting new people.